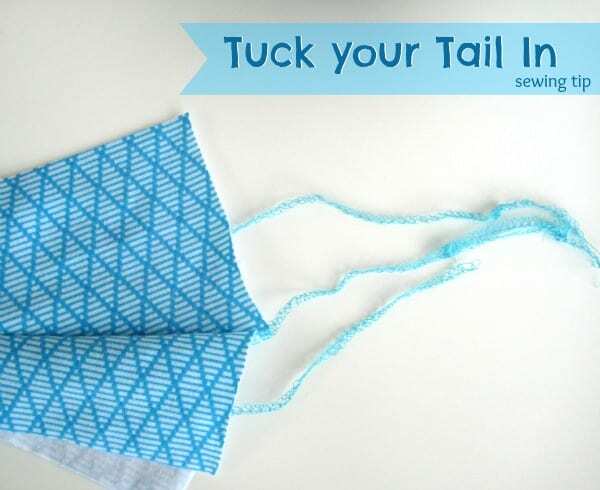 To provide a clean finished end without unsightly trimmed threads, here's the serger sewing tip on how to tuck the tail! Goodbye to those long and crazy thread tails! Tired of tying the knots when sewing? Check out this technique! check out Nancy Zieman on You Tube. she has several shows about serging and demonstrates how to tuck in beginning and ending thread tails. No hand needle required.